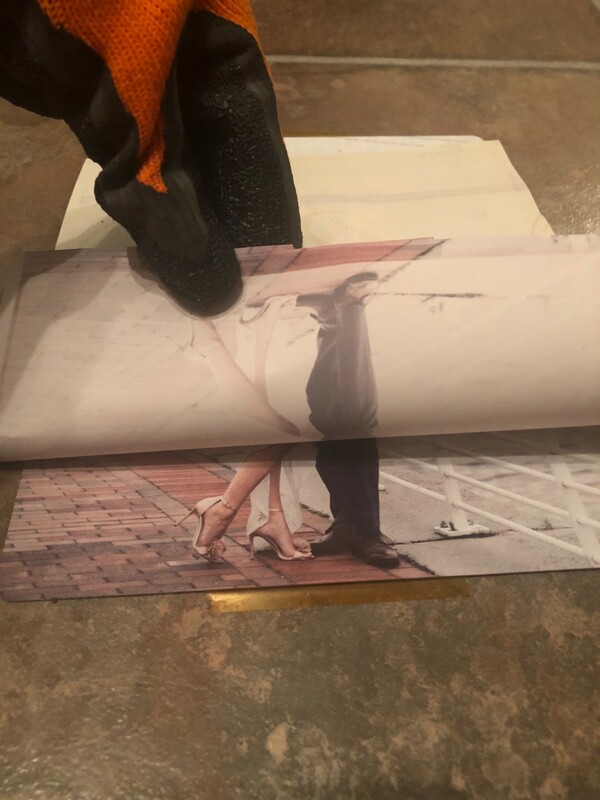 Sublimation Archives - Pro World Inc.Pro World Inc.
With Spring in full swing, it is time to update your space to reflect the new season and holiday ahead! 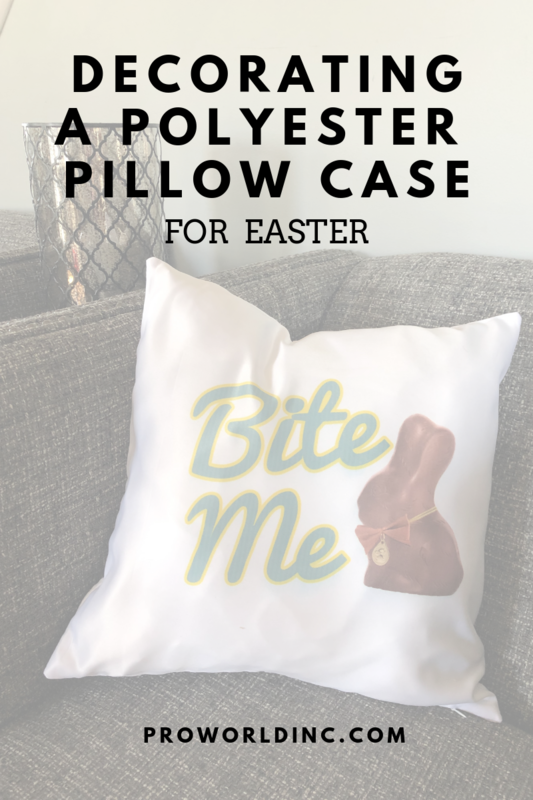 And the easiest way to do that is with some seasonal pillows! 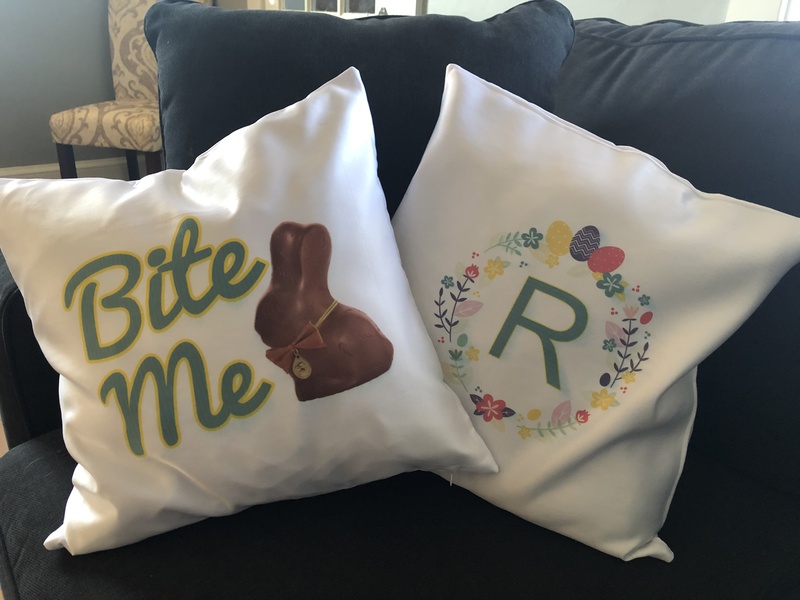 For today’s project, we are taking our Polyester Sublimation Pillow Case and decorating them for Easter! Our gorgeous sublimation blank pillows, are soft with a subtle shine which make them pretty to look at and rest your head! 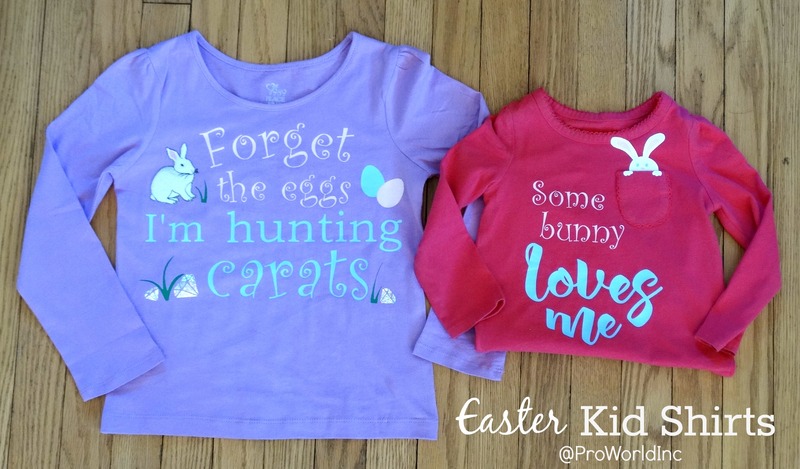 Below are a few past Spring/Easter Projects that we thought you may like! Ready to get started? It’s simple! 6 – Quickly remove the paper and place your image under something heavy. The reason that this step is so important is so that the ends don’t curl. 7 – Repeat steps 4, 5 and 6 for the second side. 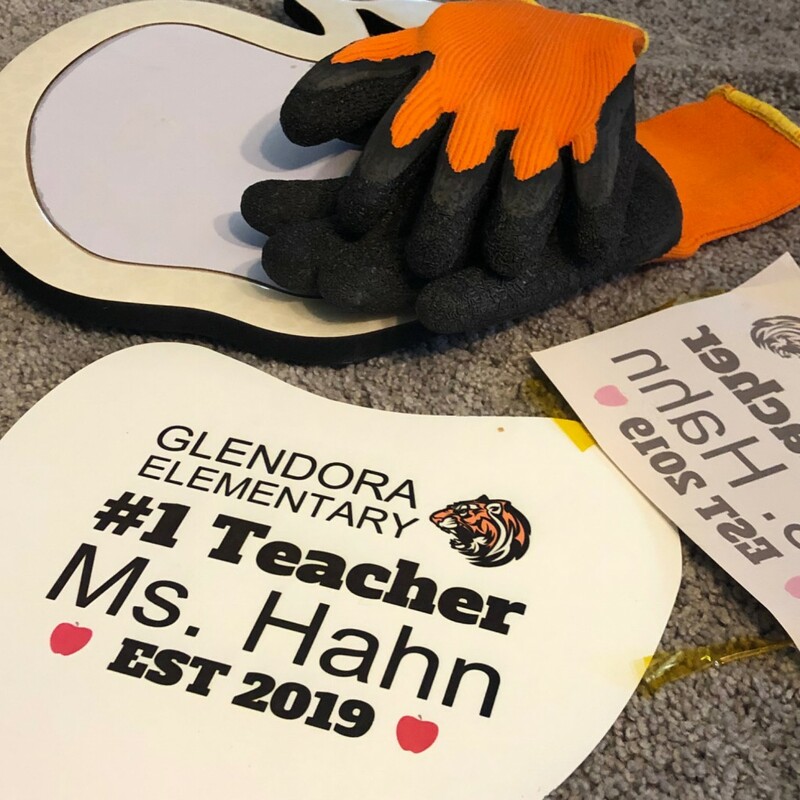 9 – Hang it up! Want to see HOW we made it? Watch our Facebook Live here! The end of the school year will be here before you know it. 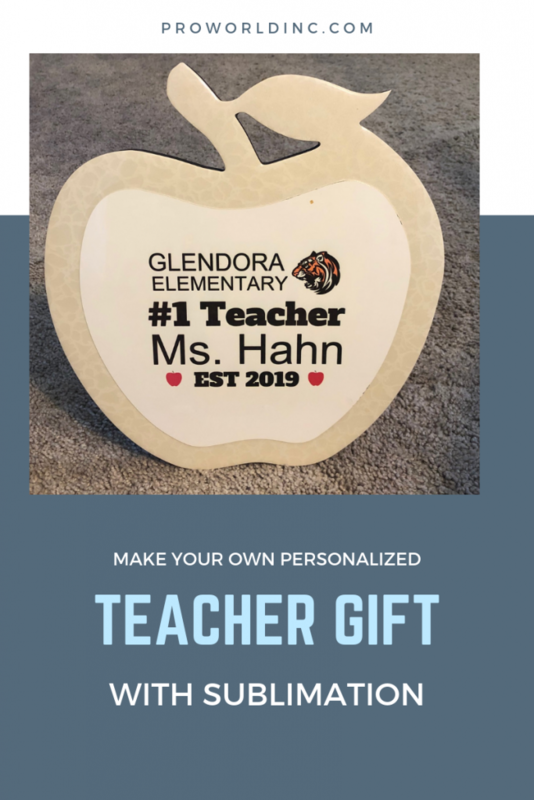 So get a head start on your end of the year Teacher Gifts! 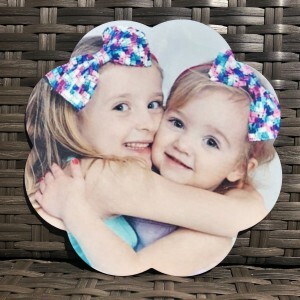 Today we are showing you an adorable gift that you can make with your sublimation printer and our 11 x 12 apple frame. Step 6- Let it cool. 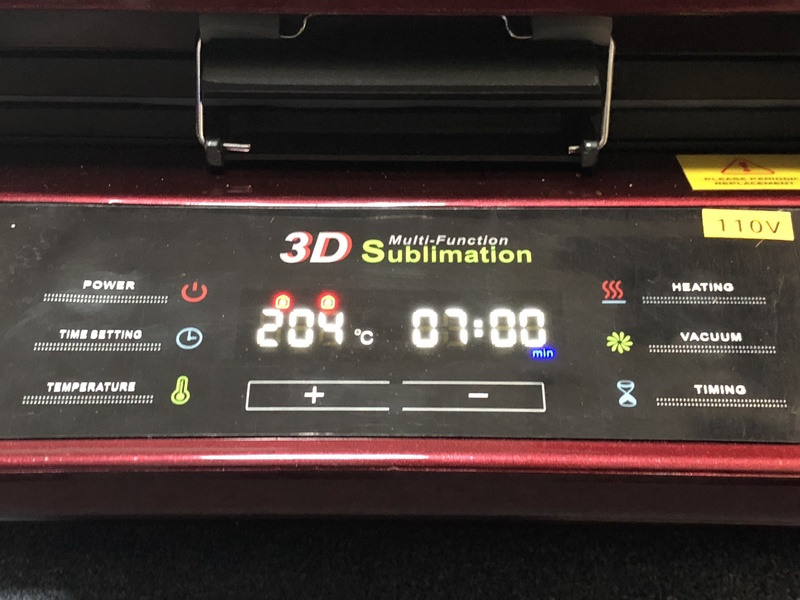 Today we wanted to spotlight a product that we haven’t talked about too much, our 3D Sublimation Vacuum Heat Press. 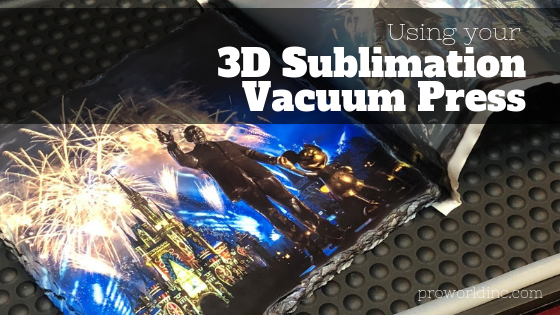 The 3D sublimation vacuum press is an all-in-one machine, which can be used to customize many types of substrates like sublimation blanks, mugs, latte mugs, cell phone cases, rock slates, and more. 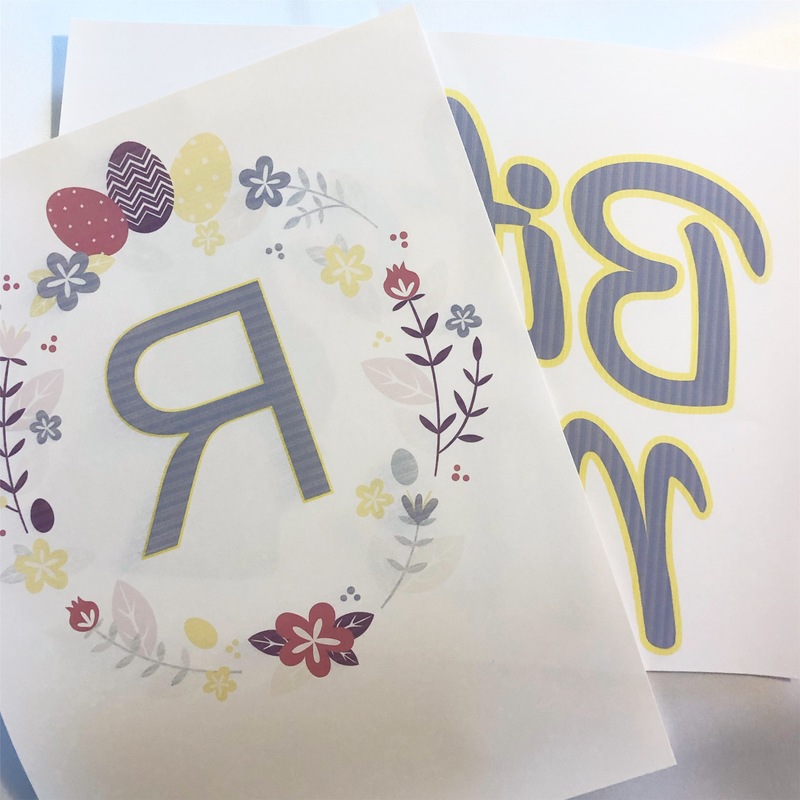 By combining vacuum pressure and heat to wrap sublimation transfer paper around curved shapes to permanently fuse the decoration onto any curved surface. Want to see how it works? Watch us make a rock slate below! 2 – Set timer to 5:30-7 minutes depending on the rock slate size. The larger the rock slate, the longer the time should be. 3 – Keep top tray in the 3D Vacuum press, and connect tubing to the bottom of the tray. 4 – Press Heating Button twice so both lights are on. 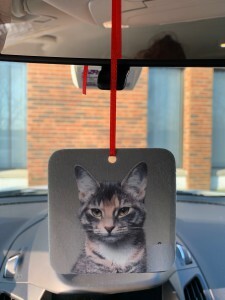 5 – Print a mirror image onto Texprint Paper. Image should be larger than the substrate. 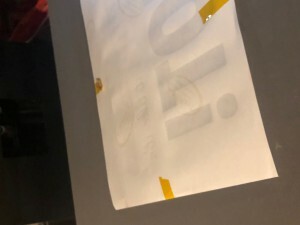 6 – Place the substrate face down on the transfer paper and tape the paper to the substrate using transfer release tape. 7 – Place substrate face up in the top tray of the 3D Vacuum Press. 8 – Press the vacuum button. Then the timing button to begin the timer. 9 – Press at 400 degrees F for 5:30-7 minutes. 10 – Remove immediately from press once finished and peel hot. Use caution as rock slate will be very hot. 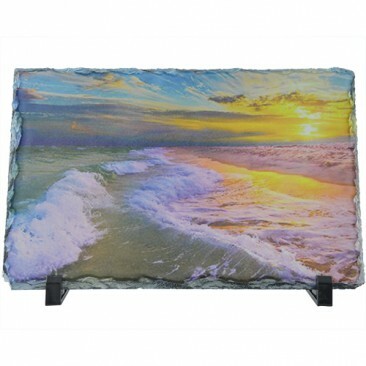 Our new sublimation blank is sure to be a beautiful addition to your current product offerings. 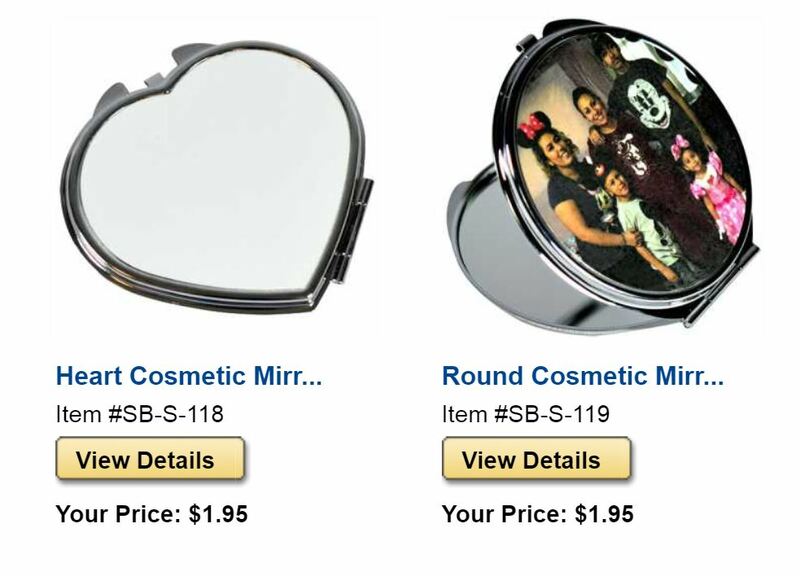 The handheld compact comes in a round and heart-shaped design, and will give your customers plenty of options! 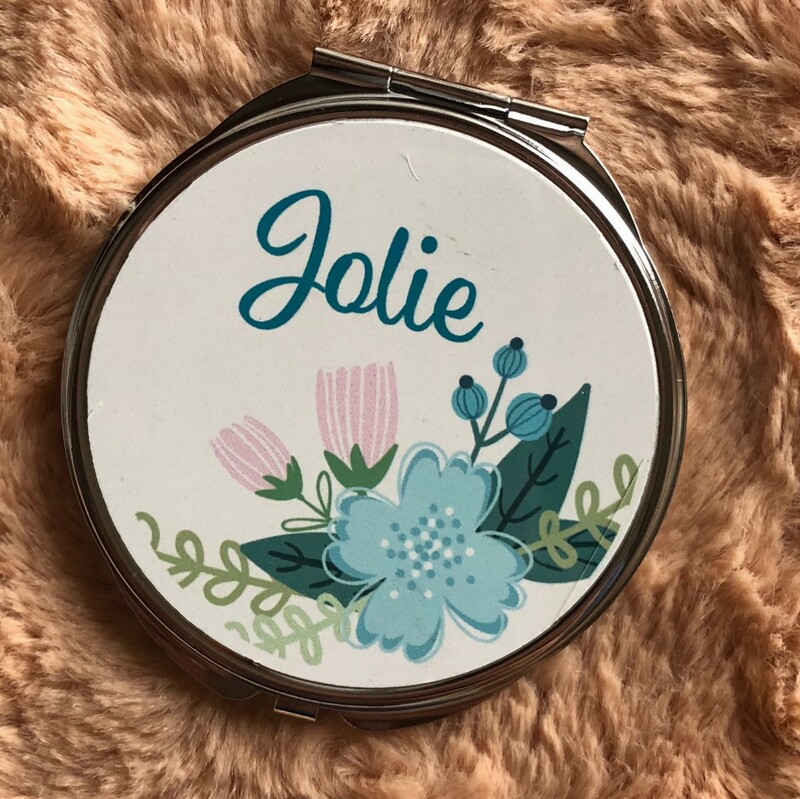 Do you want to decorate a compact mirror? Learn how below! 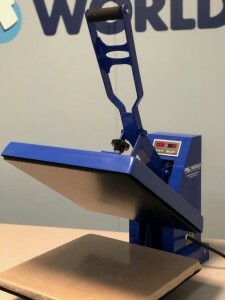 1 – Set temperature on your heat press to 400 degrees Fahrenheit. 2 – Set timer to 30-45 seconds, with medium pressure. 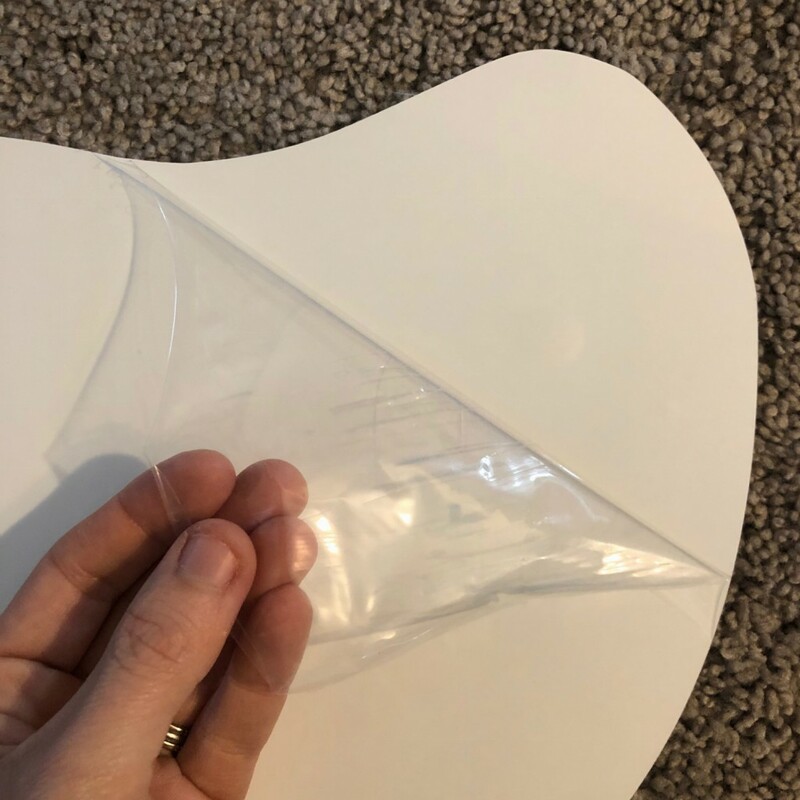 3 – Remove protective film from product. 4 – Design your image. We used the Sawgrass Template. 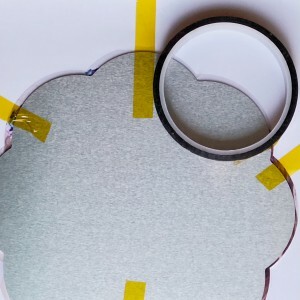 5 – Print a mirror image onto Texprint Paper. 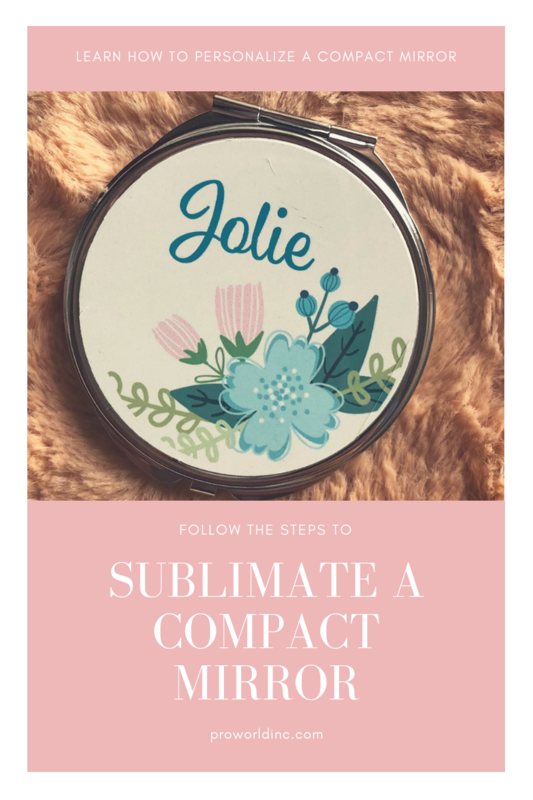 The image should be larger than the substrate. 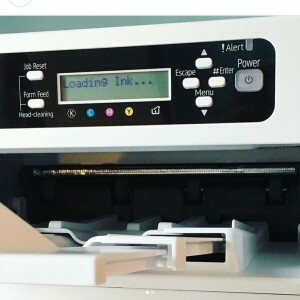 7 – Put a blank sheet of paper on heat press platen to keep it clean. 8 – Place substrate face down on the heat press (metal surface up). 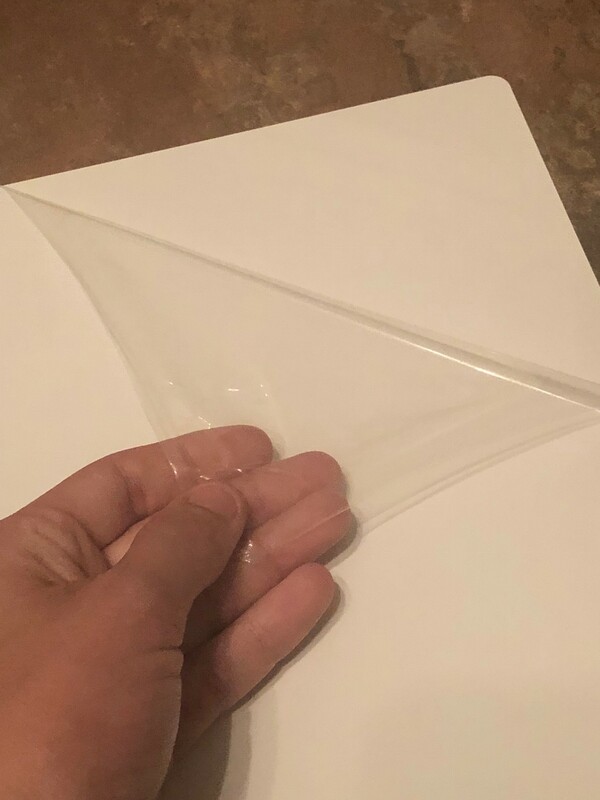 9 – Cover with a non stick sheet. 10 – Press at 400 degrees F for 30-45 seconds with medium pressure. 11 – Remove immediately from press once finished and peel hot. 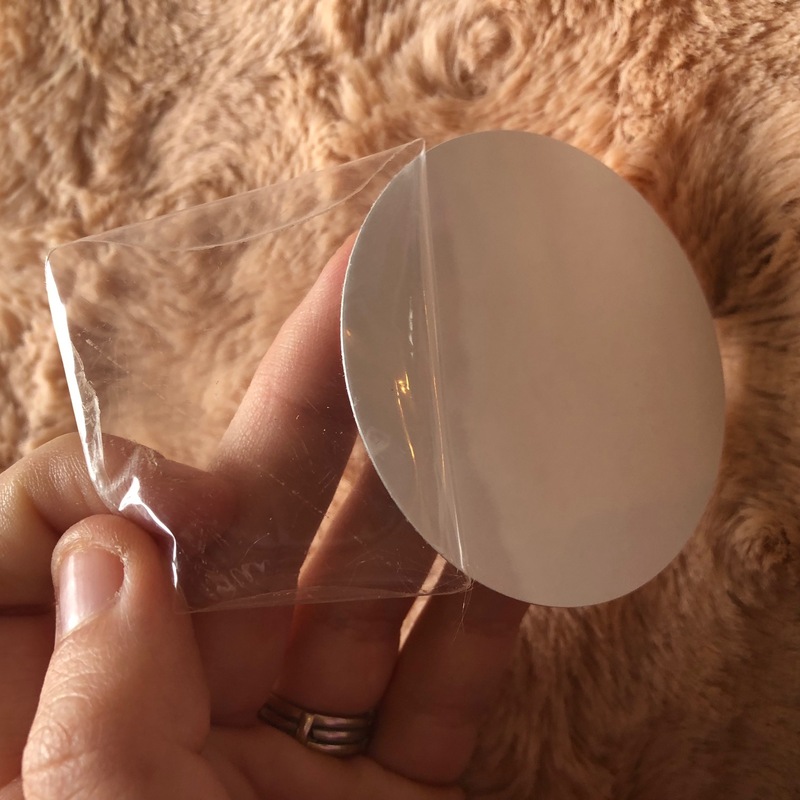 12 – Adhere the circle sticker to the mirror base. 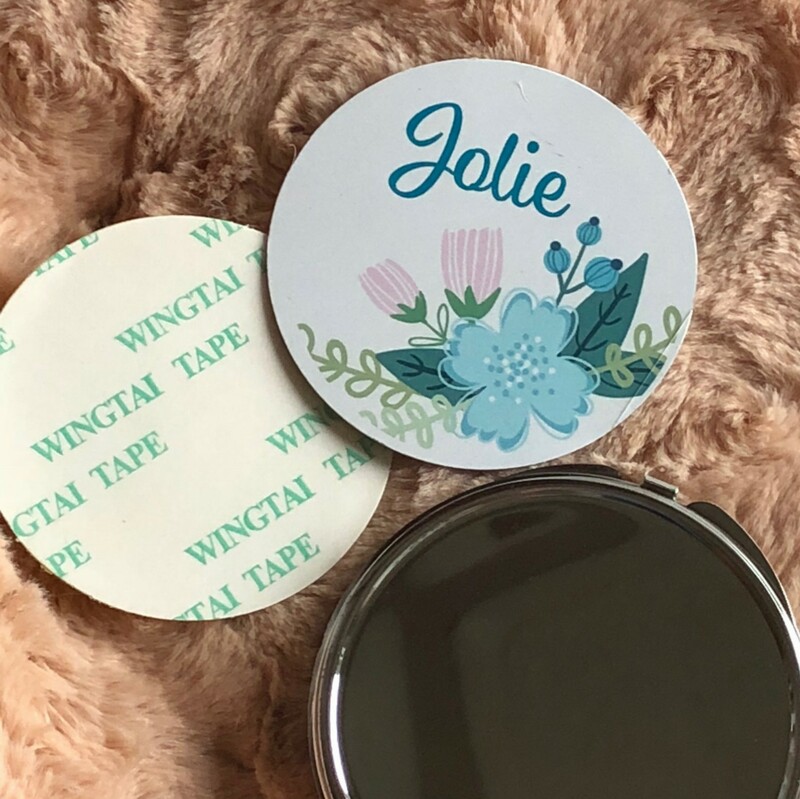 13 – Place your sublimated circle on top of the sticker. We live in a digital world and we are always taking photos but how often do they get printed and framed? 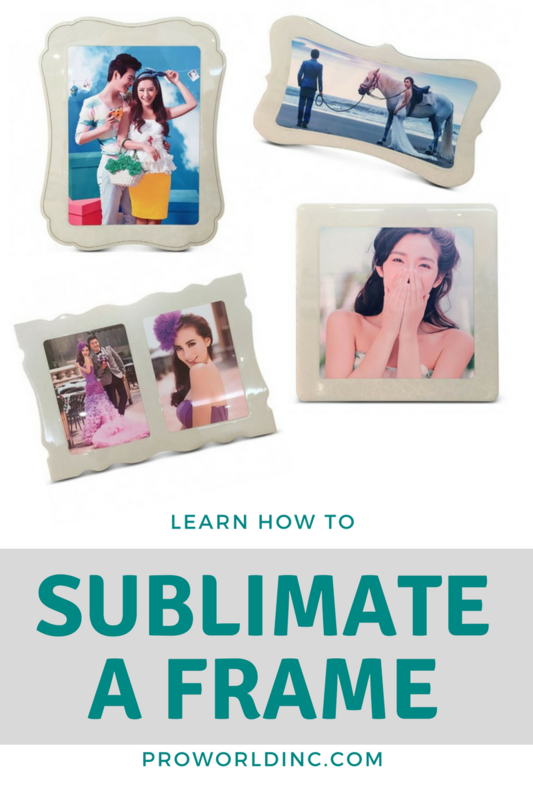 Today we are going to change that by sublimating a one-of-a-kind photo frame! 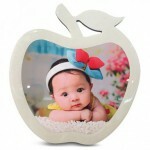 From house decor to personalized gifts you will find the perfect photo frame to fit your need. Head to our website to see our large selection! 1- Download the template from our website product page (if needed). 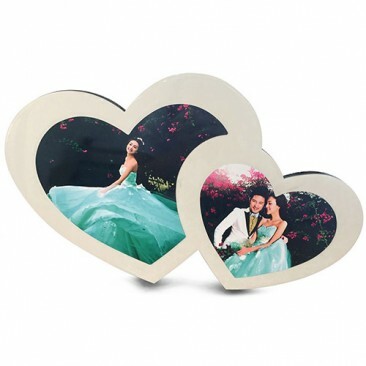 2- Print your photo using your sublimation printer. 3 – Turn on your heat press and set it to 400 degrees Fahrenheit. 4 – Set Pressure to medium. 5 – Remove the protective film from the metal frame. 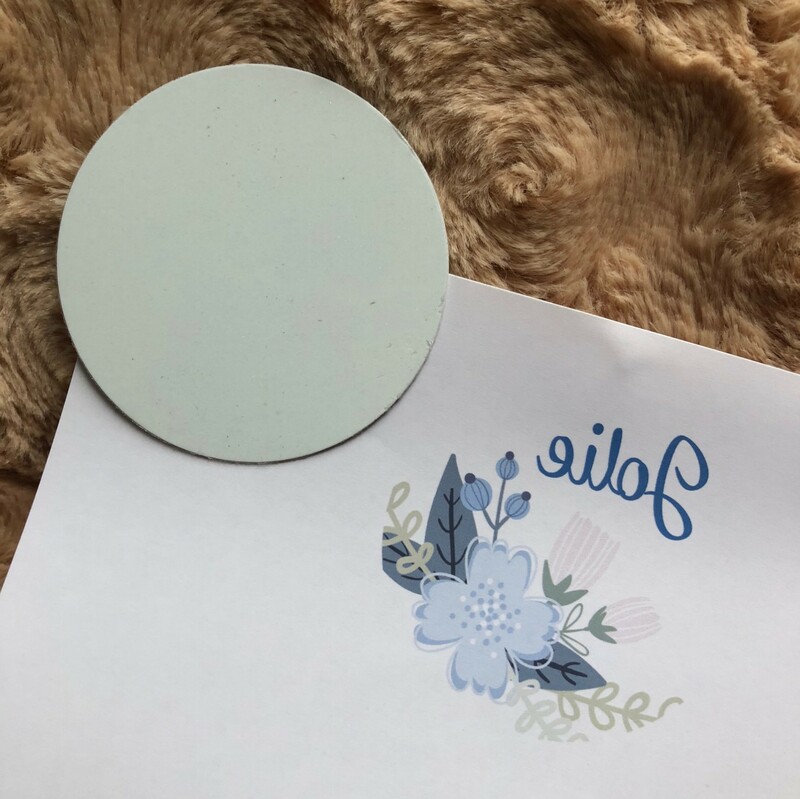 6 – Print a mirror image onto the Texprint Paper. The image should be larger than the substrate. 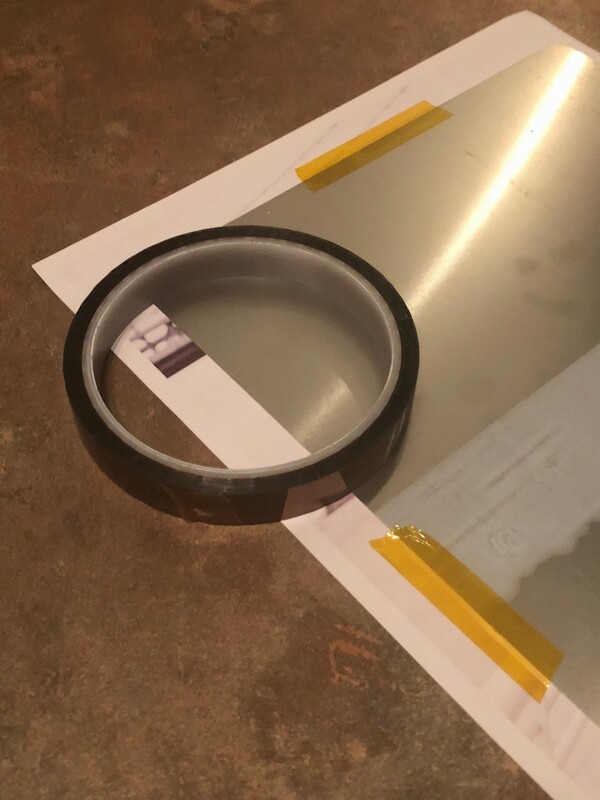 7 – Place the substrate face down on the transfer paper and tape the paper to the substrate using heat tape. 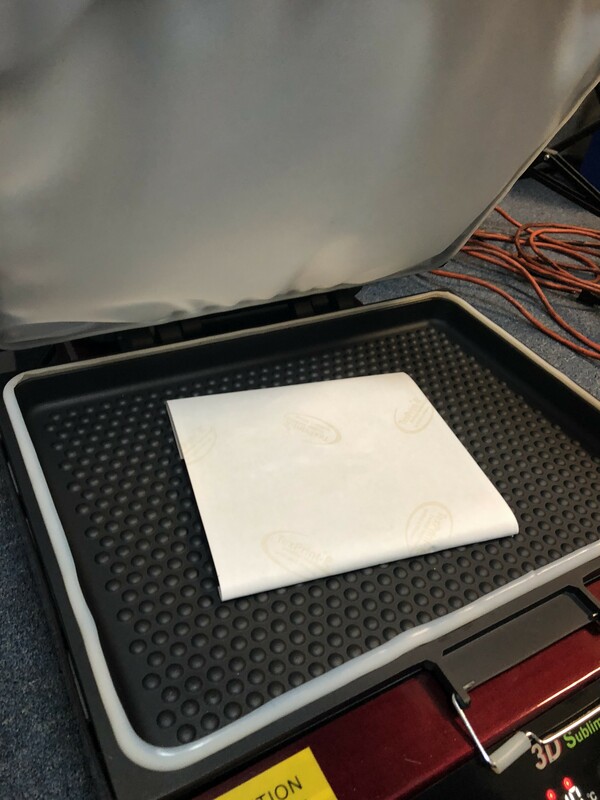 8 – Put a blank sheet of paper on heat press platen to keep it clean. 9 – Place substrate face down on the heat press (metal surface up). 10 – Cover with a non stick sheet. 11 – Press at 400 degrees F for 1-3 minutes with medium pressure. 12 – Remove immediately from press once finished and peel hot. Do you want to grow your custom business with new product lines? 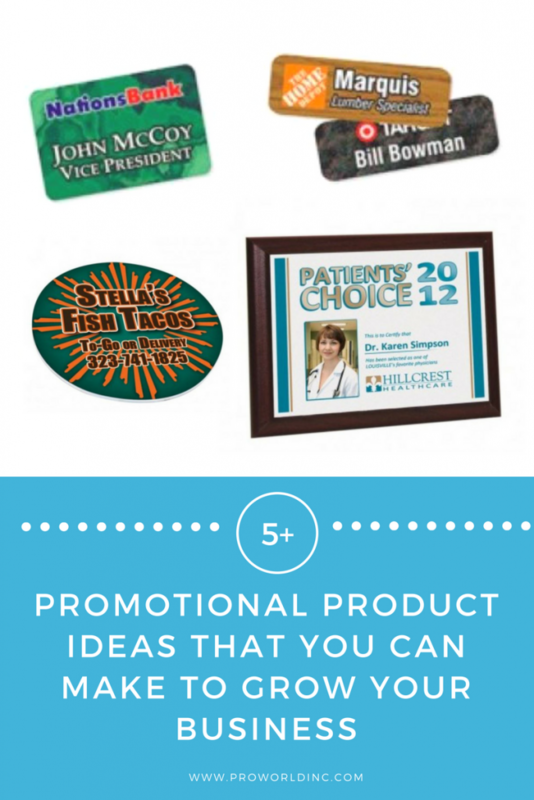 Try selling personalized business supplies and promotional products to local companies! 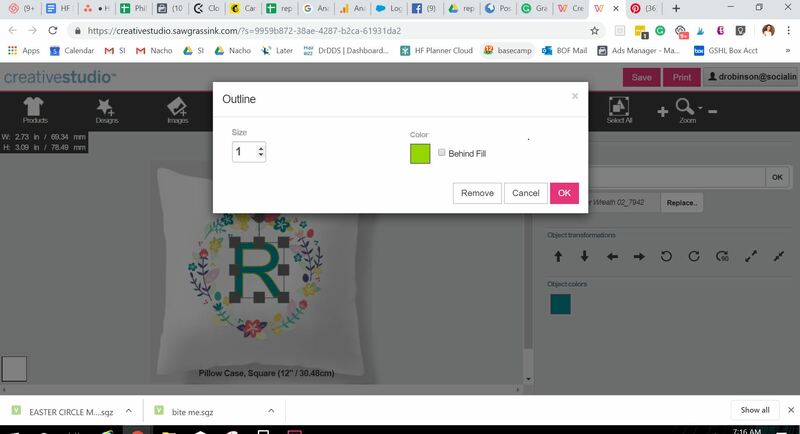 Below we’ve listed multiple items that you can personalize and sell so that you can grow your business while helping other companies grow theirs! 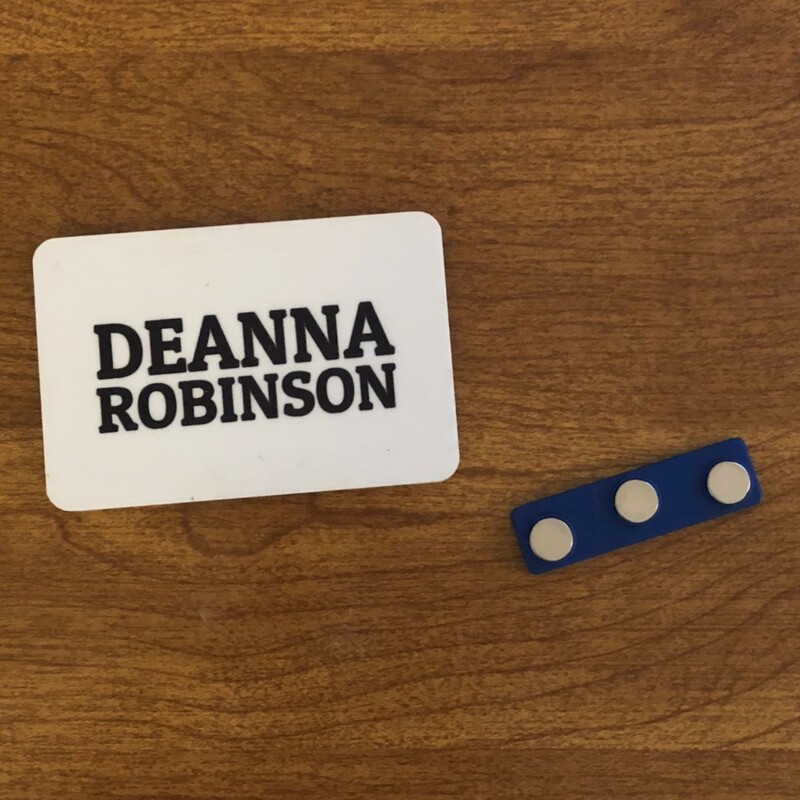 Name Badges – Create one for the solo-entrepreneur or in bulk for larger companies. 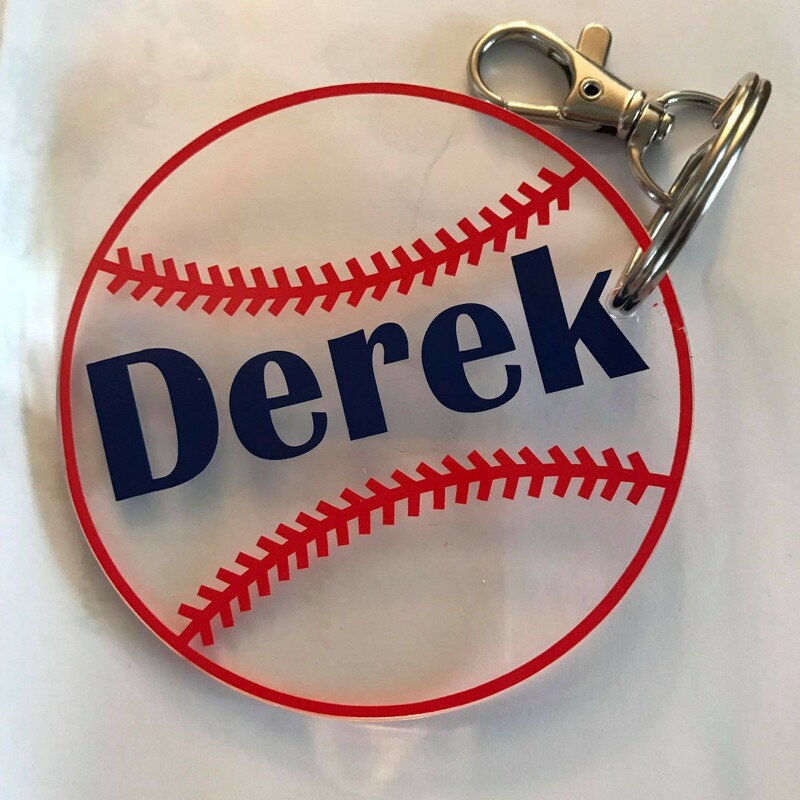 By offering your name badge with a magnet closure, it will allow your customer to put the name badge on and off without damaging their shirt. Koozies – Everyone wants to keep their cold beverages cold in this hot weather. So why not offer Koozies with custom business logos. This would make a great swag bag item or for a local business to hand out at tradeshows. 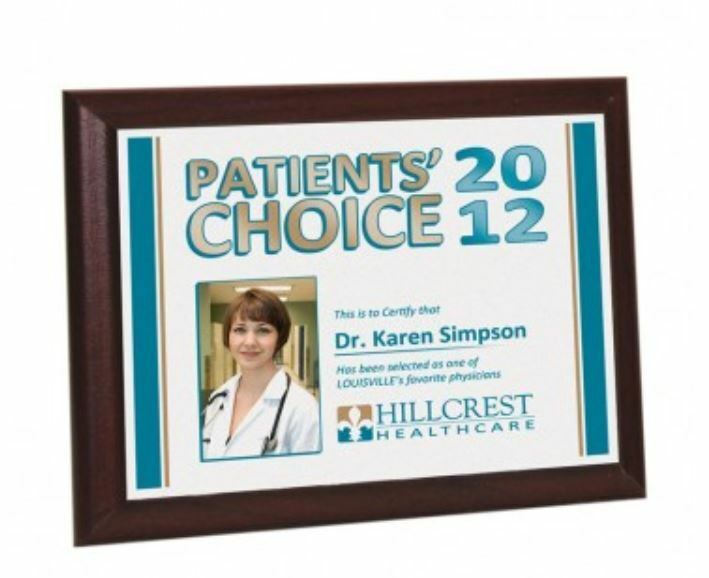 Magnets – Are a great advertising tool for companies that require people knowing how to reach them. 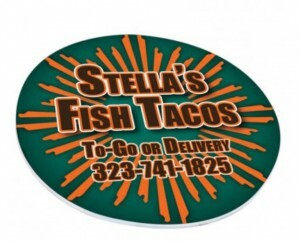 So why not offer personalized magnets to your local food delivery, repairmen and doctors offices. 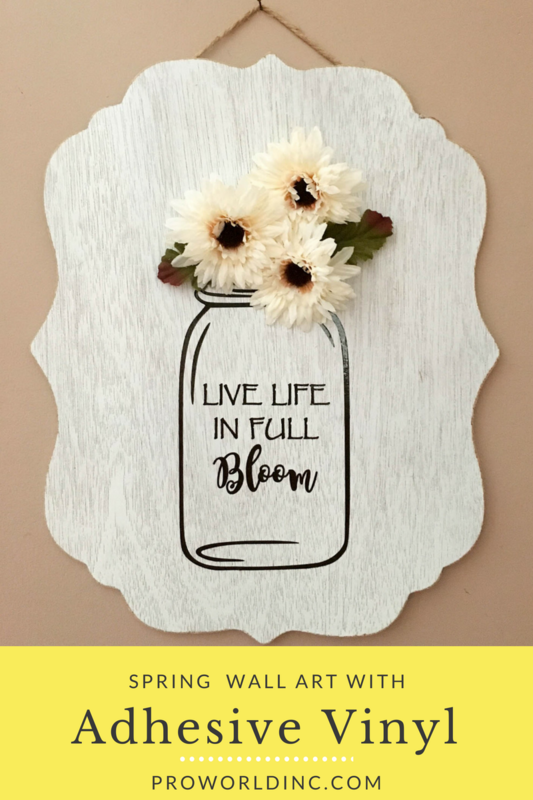 Help them grow their business, while growing yours! 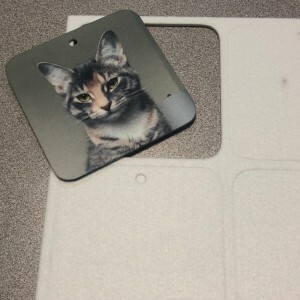 Mousepads – By putting a logo or product on a mousepad, customers will be reminded of a certain business every time they move their mouse. 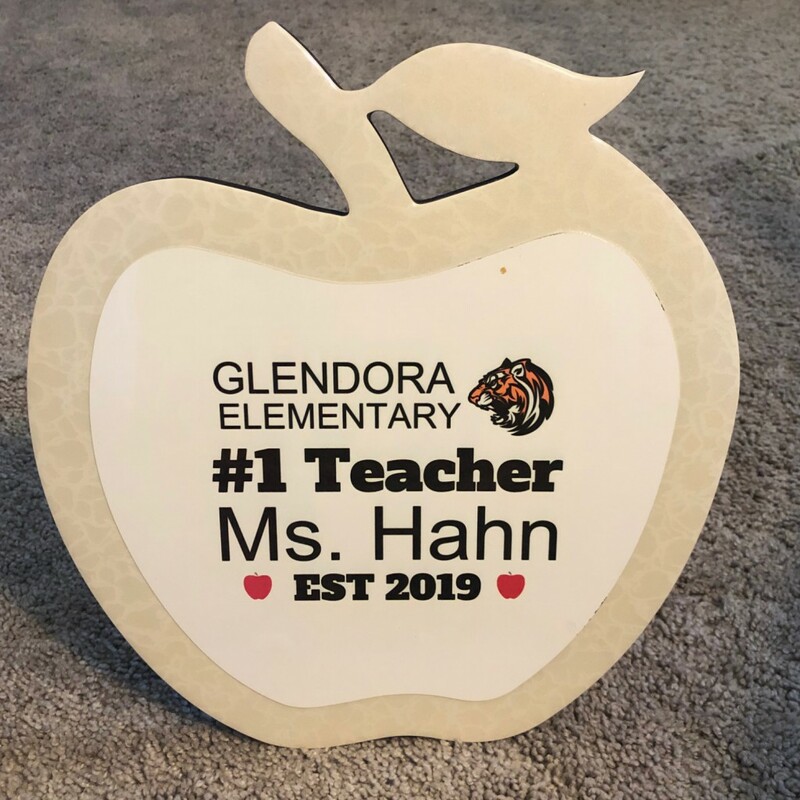 Cherry Edge Plaques – This is a great way for employees or businesses to display their accolades in a professional manner. 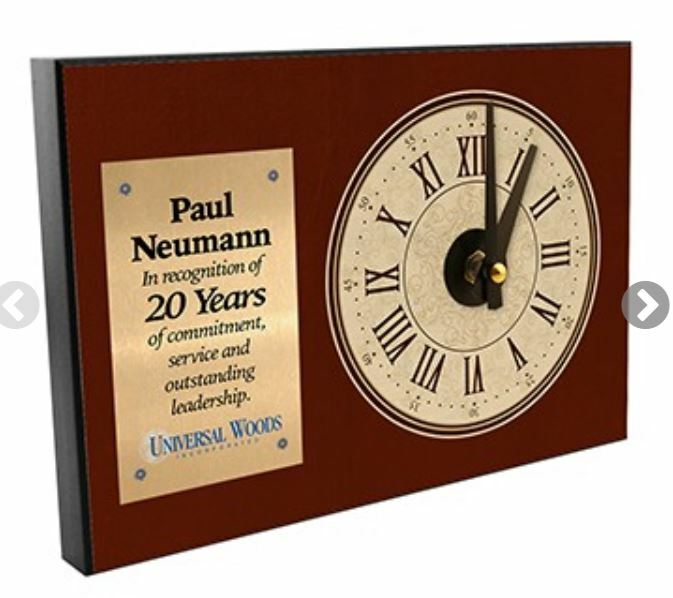 Offset Clock – This personalized piece makes an excellent employee gift. 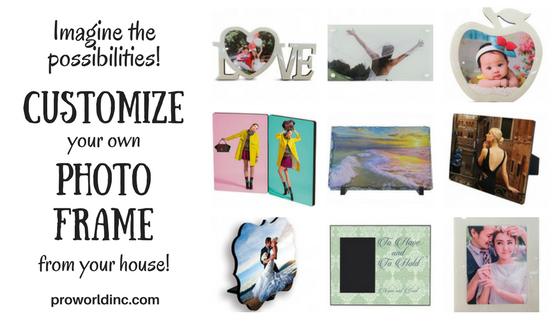 Are you looking for a fun, high-profit product to add to your sublimation store? 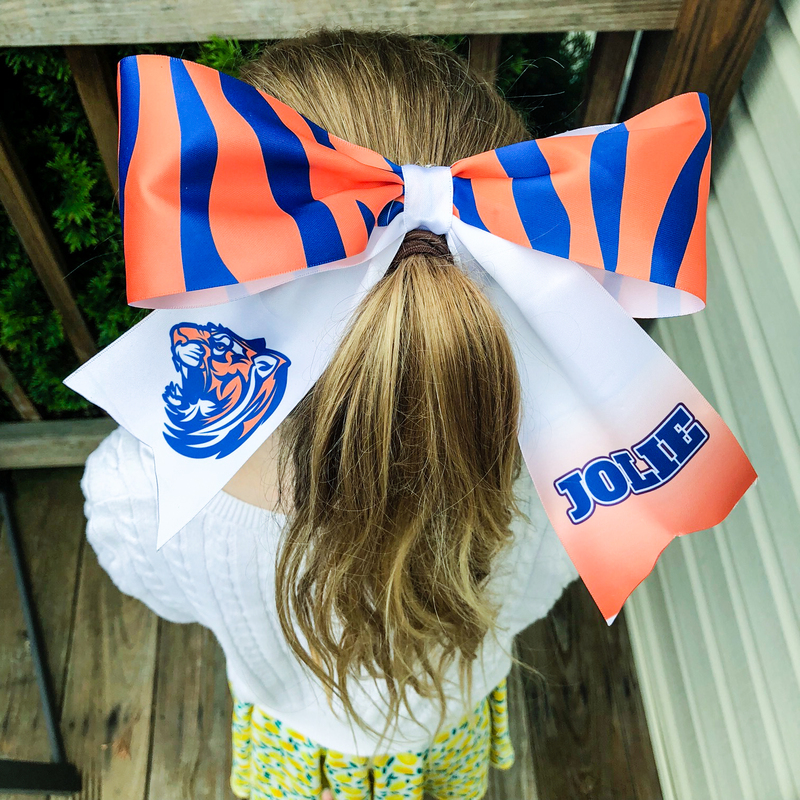 Try this decorative bow project!! 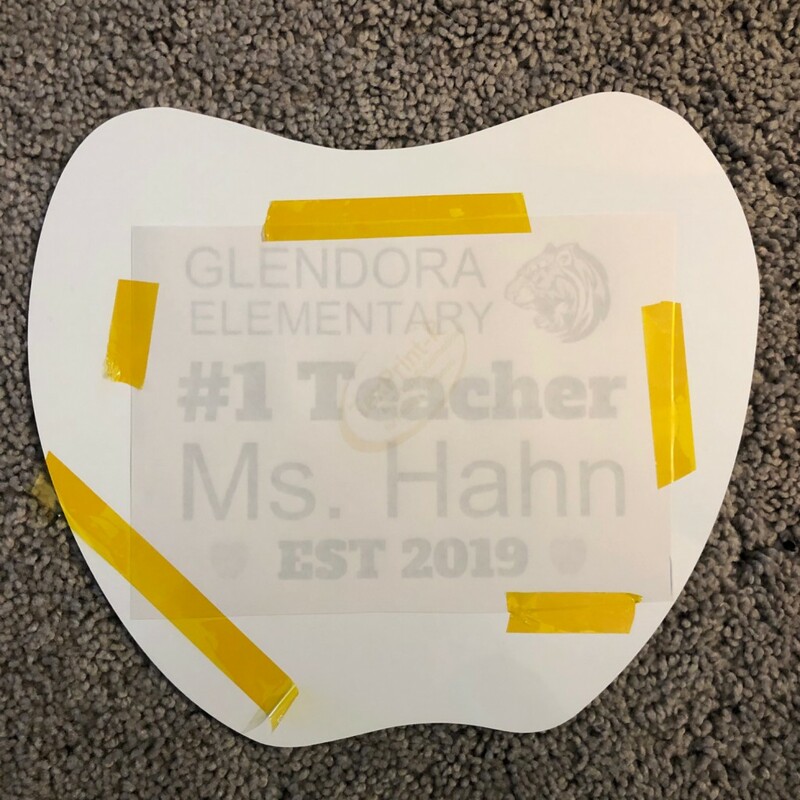 With only a few supplies, you can take a plain white ribbon and turn it into a personalized piece of art. Want to learn how? Read below! Making the bow is easy! 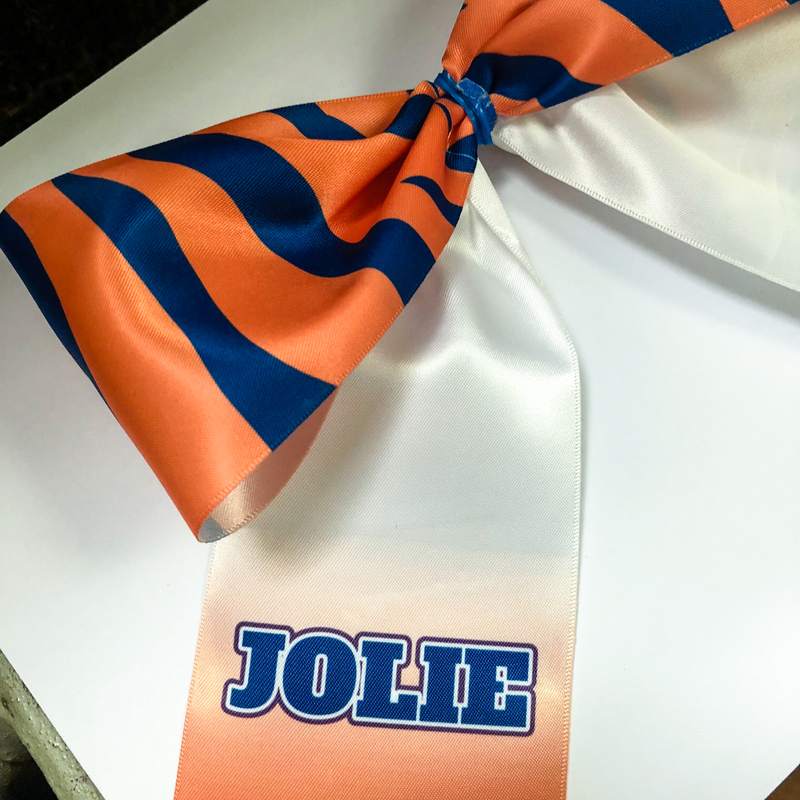 Just..
1-Design your bow using your design software. We used Creative Studio. You need to design 4 sections that are 8″ x 3″ each and send to your Sublimation Printer. 2- Take your print out and cut it into 4 sections. 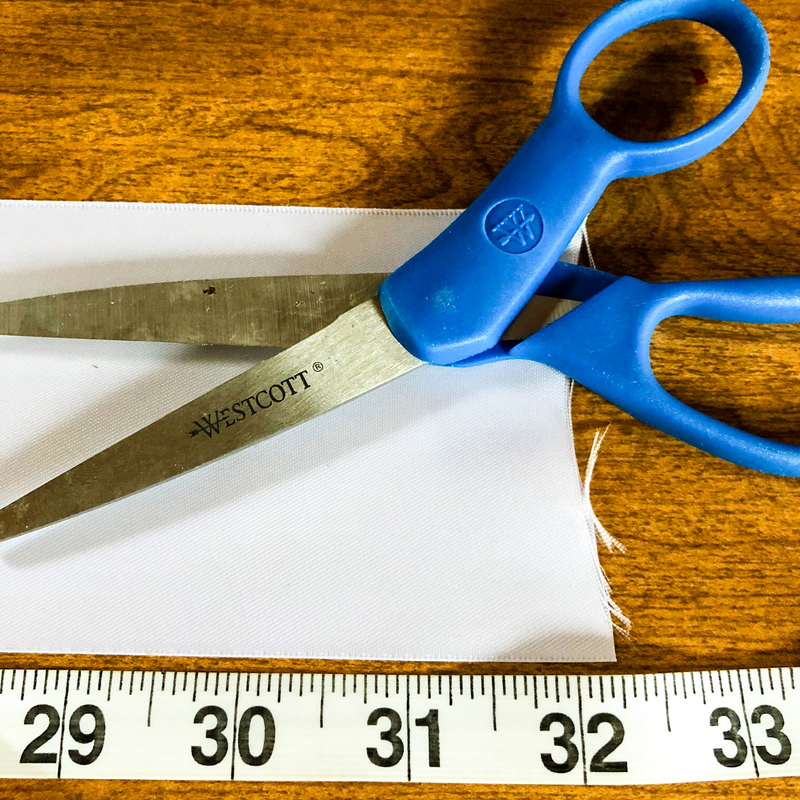 3.- Unroll your ribbon and measure it to 32″ and cut. 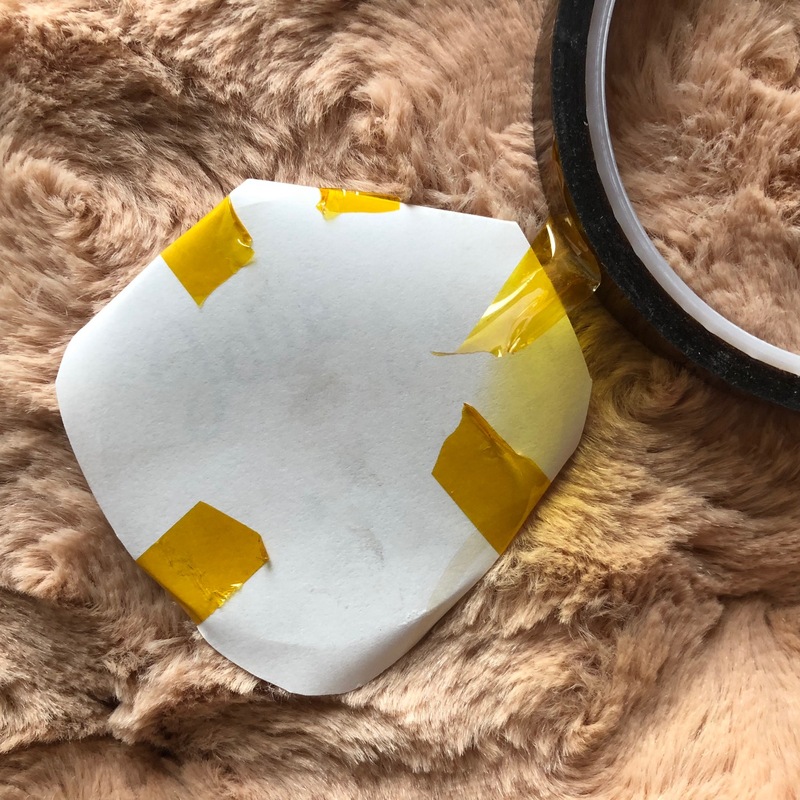 4 – Now fold it in half, so that you know where the center of your ribbon is, and tape two strips of your paper onto each side. 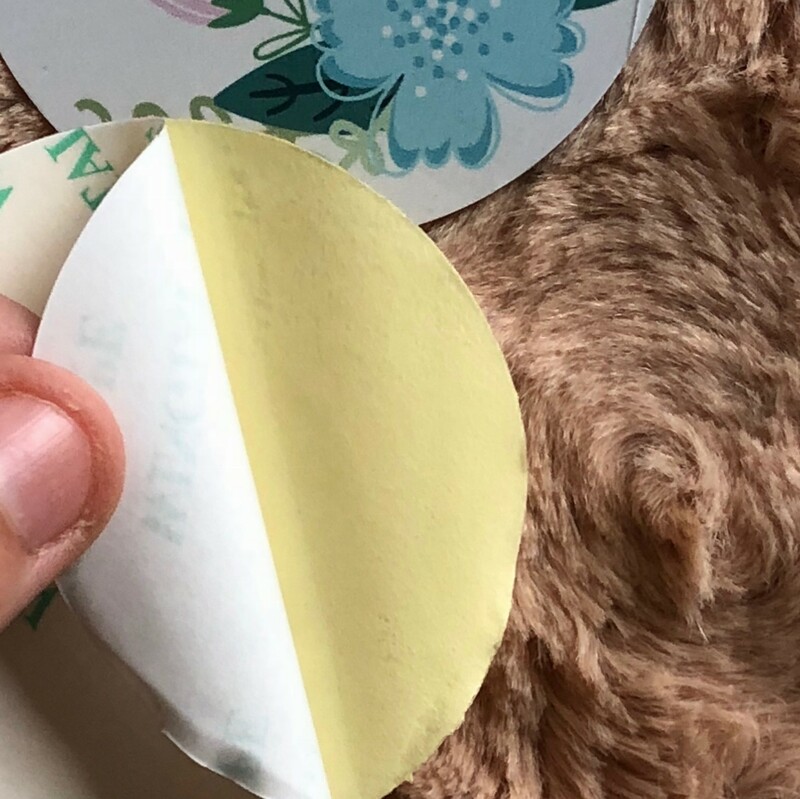 When taping your paper, you will have 2 strips on the top center of the ribbon. Place the 2 remaining strips on the back end side of the ribbon. 5 – Press each section at 400 degrees for 60 seconds. 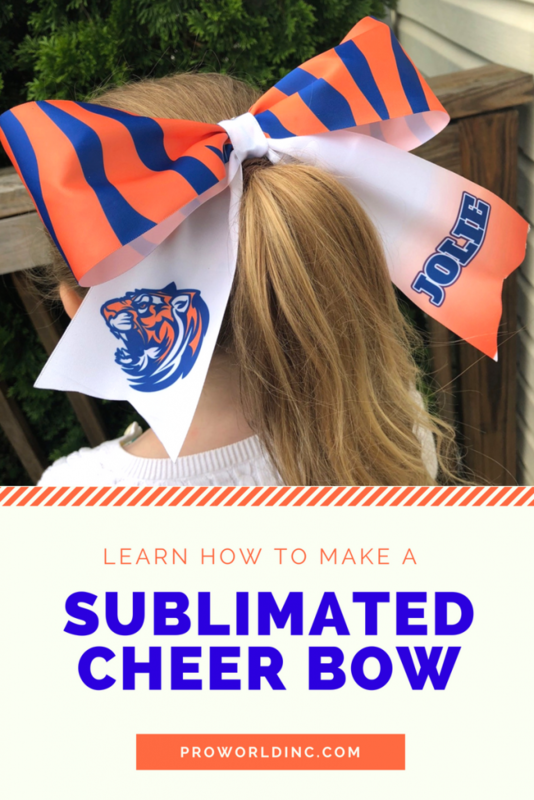 6 – Now that your ribbon is decorated it’s time to fold your bow and hot glue a clip to the back. 7 – That’s it. Admire your results! A photograph is an amazing thing–with one glance it can instantly transport you back to a single moment in time. 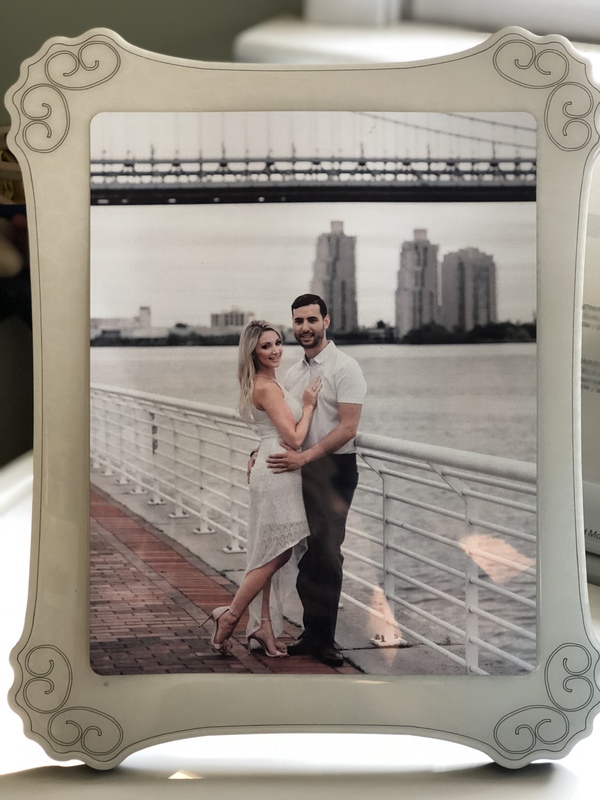 Everyone loves to display their photos, so why not create a custom frame that will make your photos stand out? 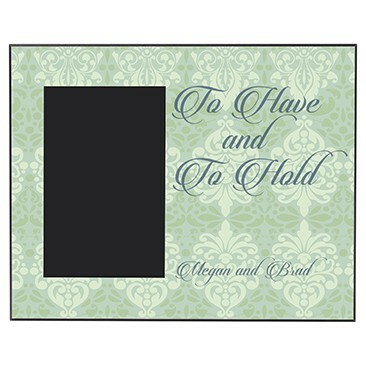 Maybe you want to create custom frames to sell, or to decorate your house, or as gifts for Mother’s Day. 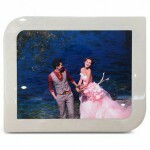 Sublimation makes personalizing frames simple, so if you need a selection of frames, you are in luck! Pro World just expanded our selection of frames to give you more options to choose from. 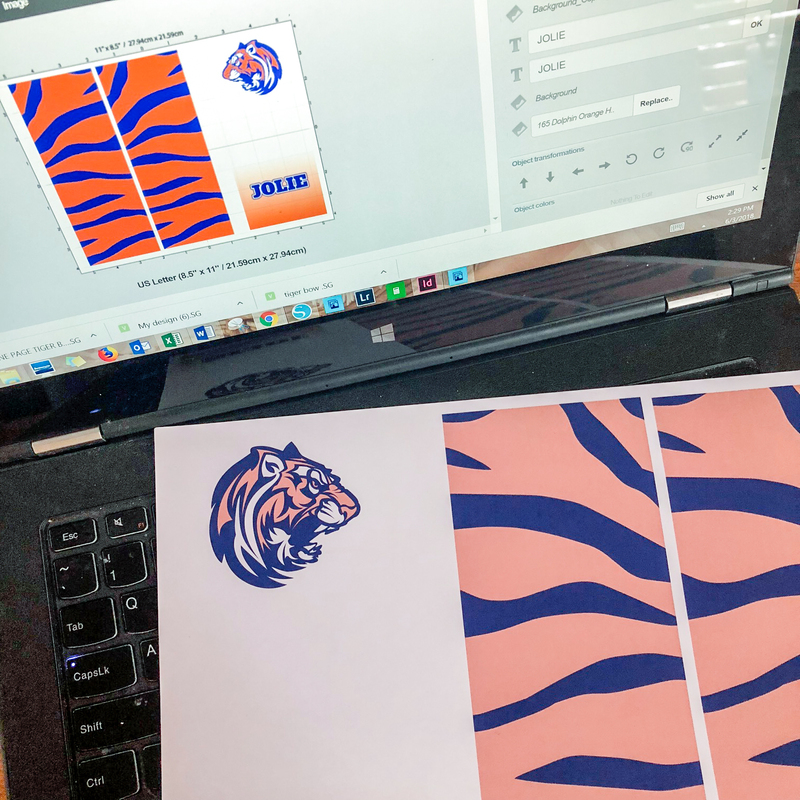 Step 1 – Design your image or design. 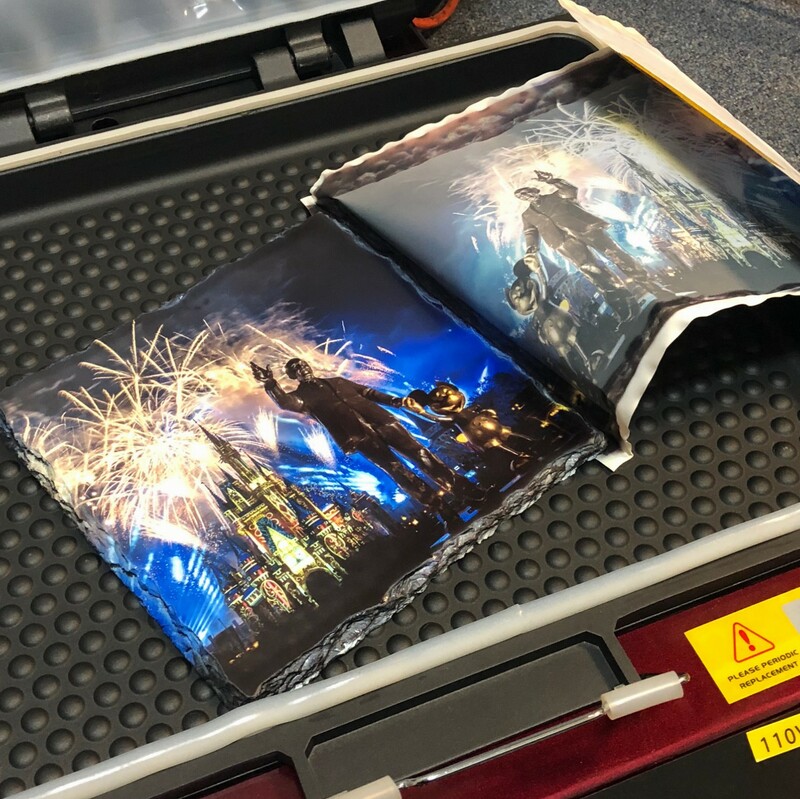 Step 2 – Mirror your image and send it to your sublimation printer. Step 3 – Turn on your heat press and set it to the proper temperature. To find the temperature look at the instructions on the product page. 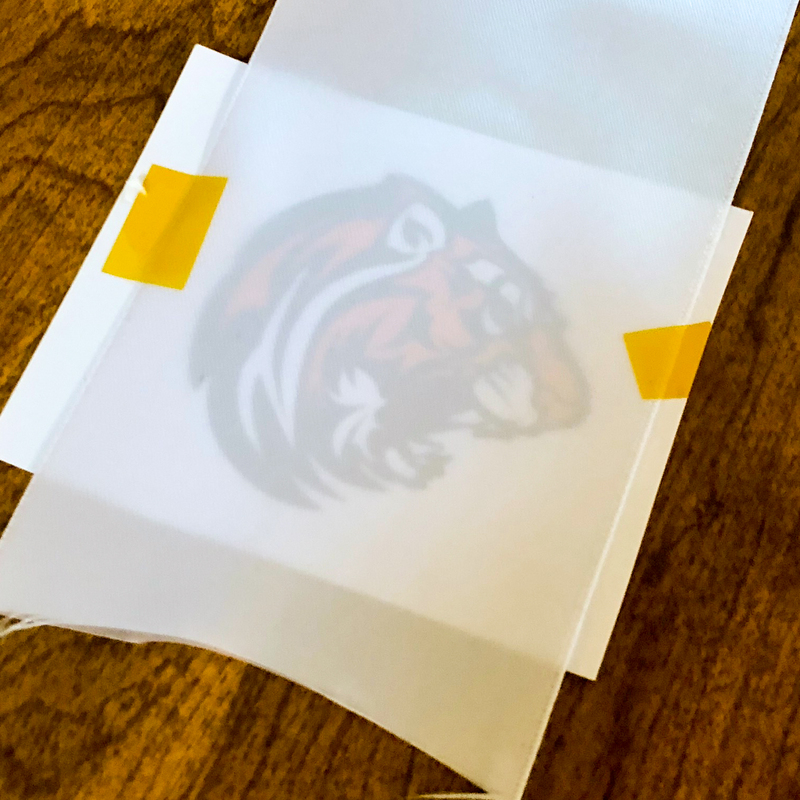 Step 4 – Use your thermal tape to adhere your image to your sublimation product. 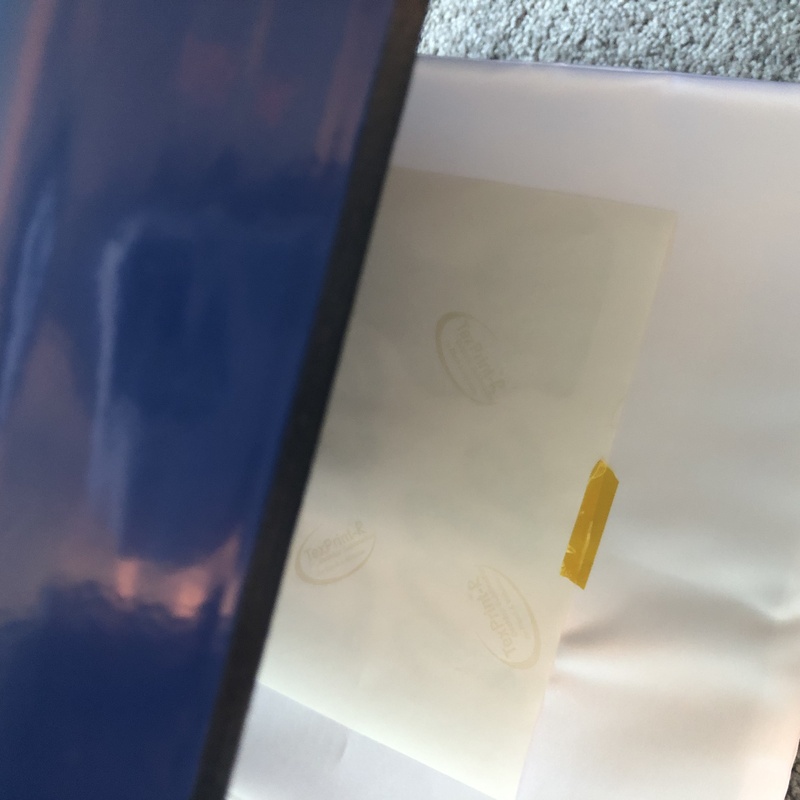 Step 5 – Place a non-stick sheet or even a blank piece of paper on your heat press to catch any leaking. Step 6 – Place your item on top and then cover it with a non-stick sheet. Step 7 – Press your item for the time instructed on the product instructions. 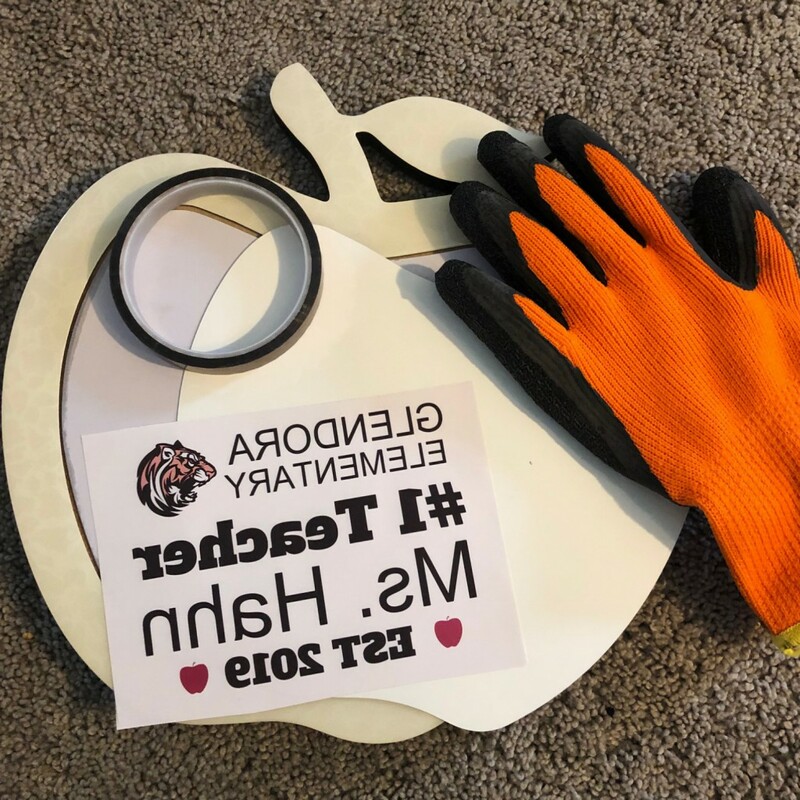 Step 8 – Peel the paper off of the item. Make sure to read the instructions to see if your product is a cold or hot peel. Step 9: Admire your results. 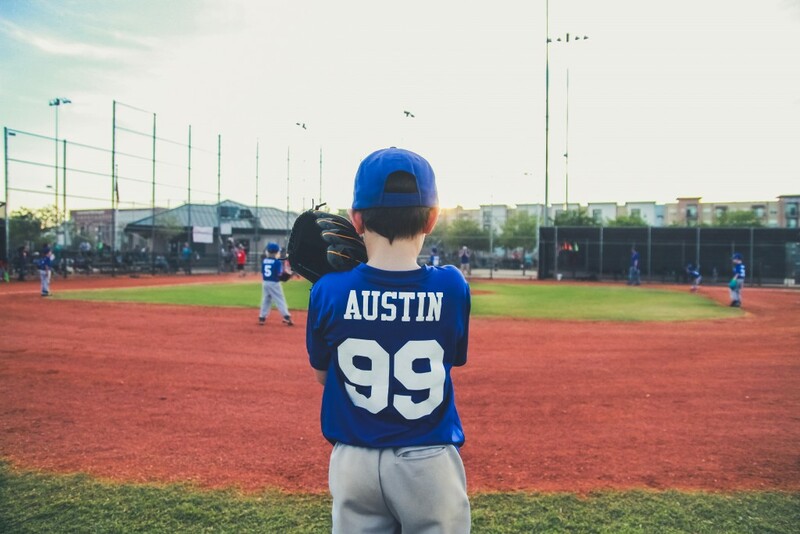 Knock your sales out of the park this spring with personalized baseball and softball products! We have an extensive list of supplies that allow for you to create anything you can imagine. 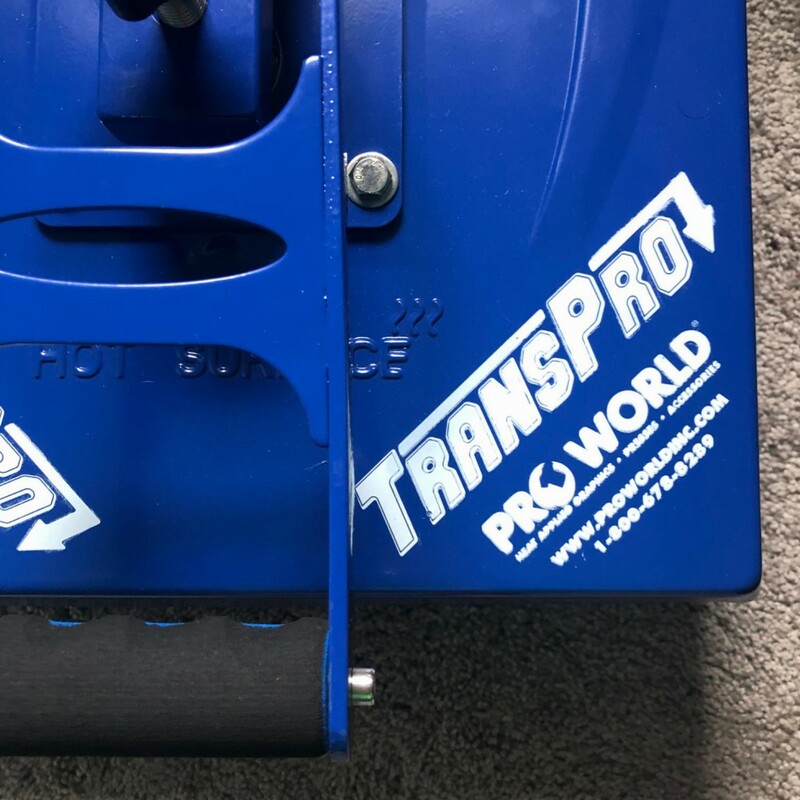 From heat transfers, heat transfer vinyl, adhesive vinyl and even sublimation there is something for everyone. Need some ideas to get you started? Here are a few! 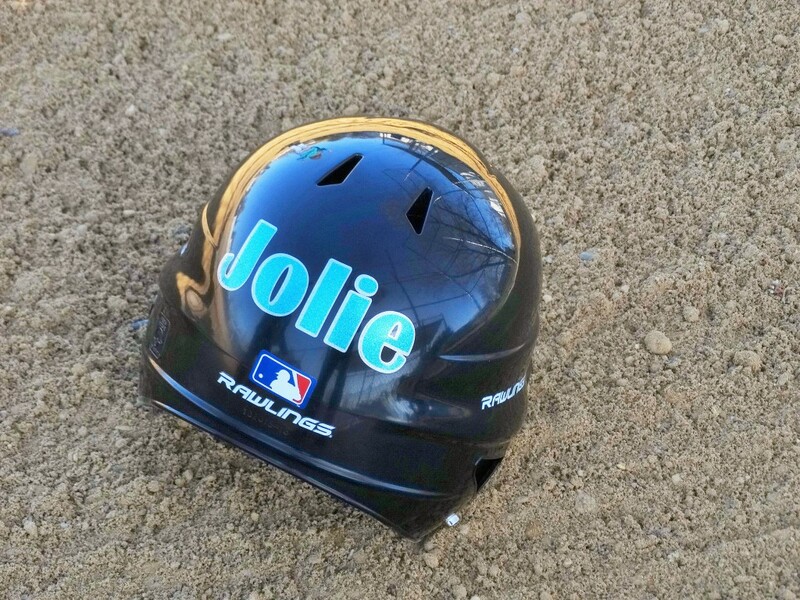 You can create batting helmet labels from adhesive vinyl, so that the team can tell each other apart. 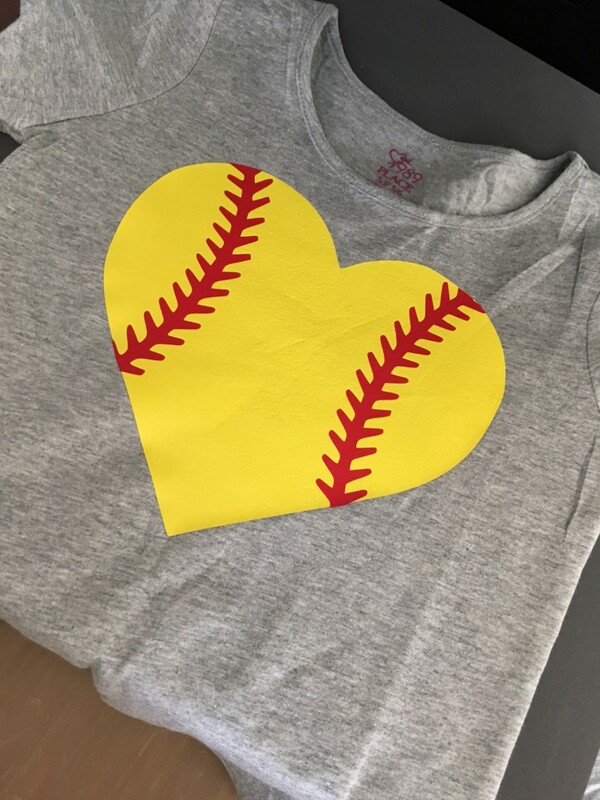 Let the fans show their love of the game with shirts made from HTV or heat transfers. 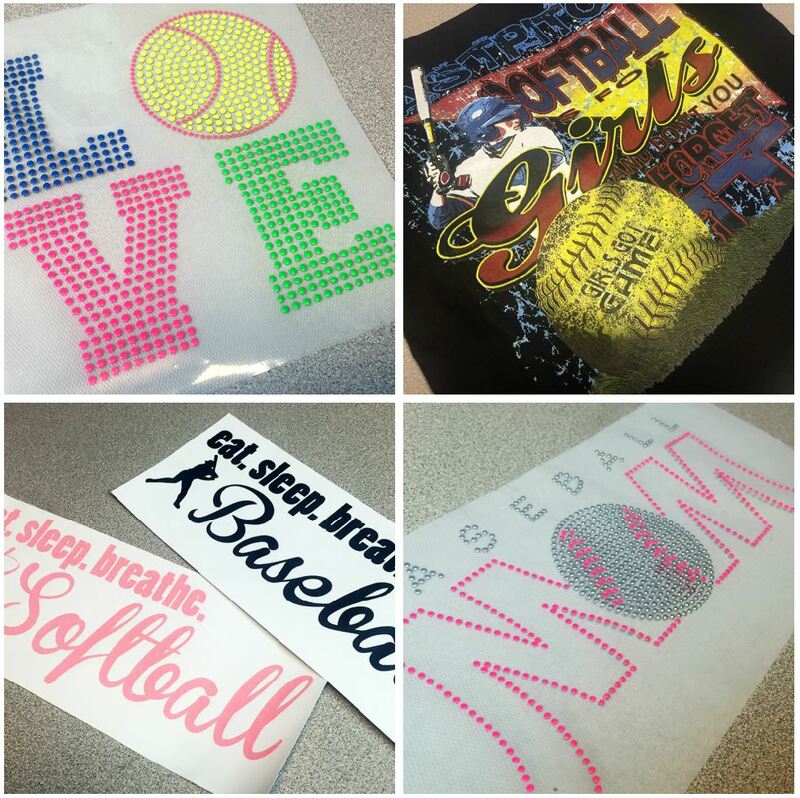 Our baseball and softball heat transfers come in screen print, rhinestone and even studs! You can personalize team jerseys with heat transfer vinyl. 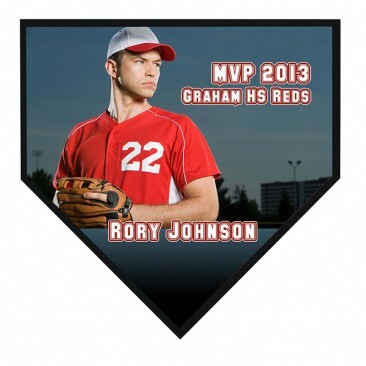 You can even sublimate your own baseball awards! 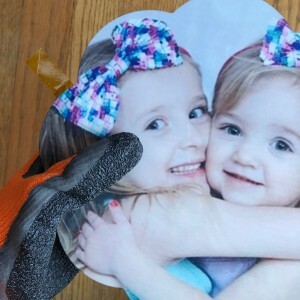 Photo From Finnegan and the Hughes! Need more ideas? 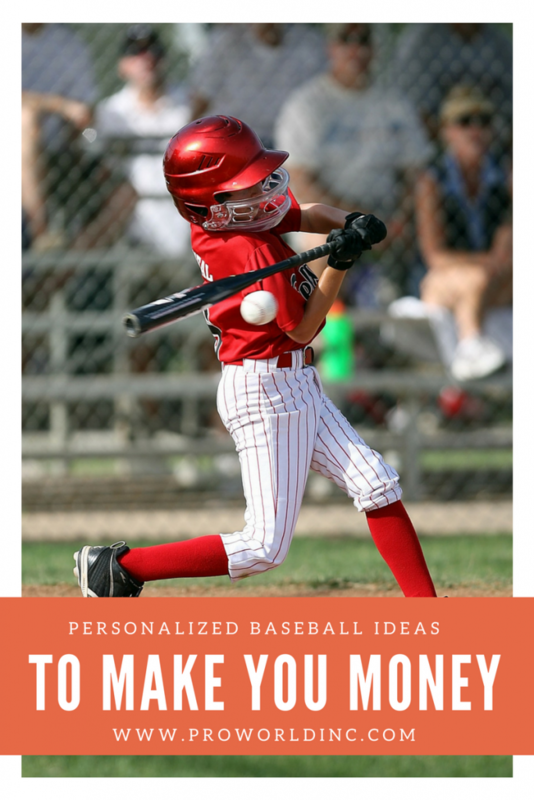 Try personalizing bat bags, bat racks, water bottles (with vinyl or sublimation). Hats and visors are great to customize as well.